When Dr. Abuzafar Arif is donning his white coat, he has a laser focus on his patients and their well-being. That’s the way it has been for the three decades Dr. Arif has worked as a physician and gastroenterologist. “I’ve seen a broad spectrum of patients and pathology,” Dr. Arif said about his years practicing medicine in Elkhart and South Bend. 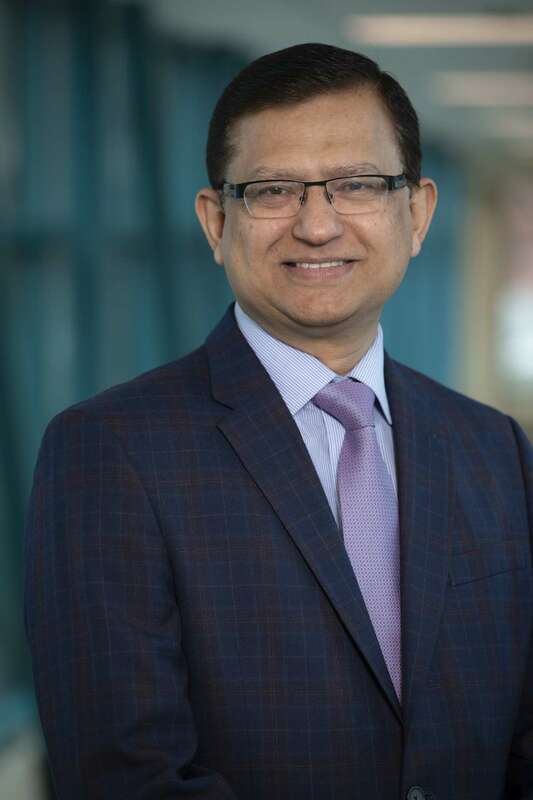 Born and raised in Pakistan, Dr. Arif spent the early part of his career in internal medicine as an assistant professor at LSU New Orleans before completing his fellowship at Tulane Medical Center in New Orleans. Dr. Arif specializes in the diagnosis and treatment of digestive and gastrointestinal tract conditions. He performs colonoscopies, prescribing to screen patients early if they present a higher risk of colon cancer. He also treats patients who have COLON, stomach, esophagus or liver problems. What are your hobbies? Our family travels a lot together. We love spending time at the beach. I also read a lot of books, particularly about homeopathy and natural medicine. What would surprise people about you? I have a sense of humor. I also play a lot of ping-pong, ever since I competed on my high school team. My kids haven’t been able to beat me yet, but I tell them there should be some genetic thing there. What is your biggest challenge? Balancing work and family. So I have a rule: When I am wearing my white coat, I’m focused on my patients. When I take the coat off, I’m focused on my family. What has it been important for you to instill in your children? I’ve tried to raise them in a way they understand the importance of being honest, responsible and helping others. I was very lucky growing up, but I want to teach my kids that we should give back to the community.